by Terry Pratchett | Science Fiction & Fantasy | This book has not been rated. Borrowing a yet unread Pratchett from a friend is a good way to cure the I-am-stuck-at-home-due to-lingering-flu-blues. I delved into it immediately. Finished it in three days. Now, what was it about, again? Something with monks and a glass clock. Quite uminpressive. 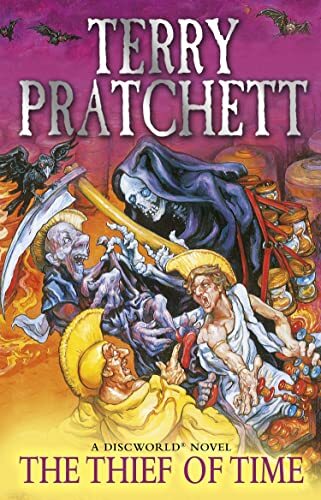 The only thing that struck me was when Pratchett writes about (discworld) people, how they have this amazing ability to fool themselves if there are things they feel uncomfortable with. Hey, I thought, he means us! He is a critic! Not just a very succesful writer who should have stopped spitting out books at a yearly basis long ago. It will go back to my friend.